Cherry Mobile never gets tired of releasing new Android handsets every now and then. Another 4.5-inch dual-core Android phone has been added to their line-up by the model name: Cherry Mobile Thunder. 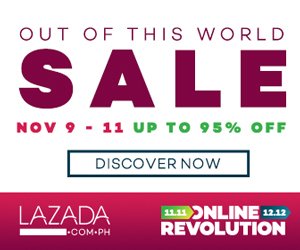 As they had said, this will be exclusively available only from Lazada PH online store. It will be available for orders from the said online shopping site starting tomorrow, February 9, 2013. Judging from its specs, it seems like its a good deal already considering the price-point at its specs parameters. Sources says its a rebrand of the Micromax A91, which we cannot deny as their specs are very much identical. The Micromax A91 is one new device on India as well, but converting its price tag to peso; the result goes to an equivalent of Php8,450. What a big price difference, Cherry Mobile never fails to amaze us with its price offering on their handsets. If you do not fancy a really sharp resolution, a mediocre amount of RAM, or sub-8MP camera; you have the budget, then this one will be good for you. As far as I know, when you order from Lazada PH, it will be delivered to you and you can pay cash-on-delivery basis which is absolutely nice. We’ll see if we can be able to experience doing some hands-on and reviews of the Cherry Mobile Thunder. If you will be one of the first to own this CM-Lazada handset, then please do share us your feedback and experience with the device.